It will surely not be long before King Salman abdicates for his son. But the future ruler confronts serious obstacles. The arrests in early November of dozens of Saudi royals, bureaucrats and businessmen has brought fresh international attention to Saudi politics and palace intrigue. The arrests have been widely, and correctly, attributed to 32-year-old crown prince Muhammad Ibn Salman, nicknamed MbS. Ostensibly the arrests are for charges of corruption; they were carried out at the behest of a newly formed anti-corruption body which MbS had been appointed to head. But sceptics argue that the arrests are more accurately characterised as part of the consolidation of power in the hands of MbS and the elimination of his rivals. Although Salman, MbS’s father, remains king, MbS has taken on increasing responsibilities and with significant autonomy. He speaks on behalf of the regime in public and in private, to the point that he was given a one-on-one meeting with US President Donald Trump in May. Known also as ‘Mr Everything’, MbS is clearly ambitious. He does not shy away from bold gestures and policy announcements of the kind usually reserved for heads of state and government. One example is MbS’s economic reform agenda, which falls under a label which could easily have come from the producers of the TV series Utopia: Vision 2030. Indeed, the same label is used for economic policies in Kenya, Namibia, Jamaica, Bangladesh and the City of Busselton. MbS’s iteration seeks a rapid modernisation and diversification of Saudi Arabia’s economy, including by increasing the share of the economy held by the private sector. In typical Utopia style, there is next to no detail about how the agenda will be realised, let alone any recognition of the deeply rooted institutional obstacles to the agenda. MbS’s social policies are a study in contradiction. He has spoken out against social conservatism and is credited with ending the ban on Saudi women driving, and with limiting the influence of Saudi Arabia’s hitherto unaccountable religious police. MbS’s openness towards Saudi artists and comedians demonstrates his willingness to embrace social change in an effort to appeal to young Saudis. However, MbS’s actions and rhetoric have not always extended to political reform. His recent call for Saudi Arabia to return to ‘moderate Islam’ was a convenient mask for the arrest of a series of prominent Saudi reformist clerics known for their human rights discourse and progressive ideals. 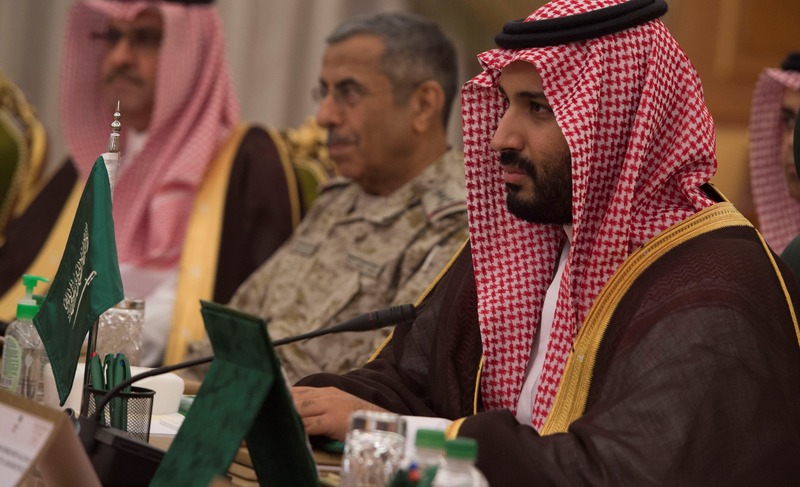 MbS’s geopolitical endeavours have largely been a series of misadventures. Saudi Arabia is struggling to find an end to costly and catastrophic intervention in Yemen, which started on MbS’s watch as Defence Minister. The Saudi-led regional isolation of Qatar has been equally counterproductive. MbS’s views on Iran are dogmatically antagonistic to the point of becoming the bedrock of his relations with the Trump Administration. He is fighting too many wars at once and with next to no success. The November arrests are not the first time high-profile members of the ruling family have been targeted amid MbS’s rise to power. Earlier this year, his cousin Muhammad Ibn Nayef was forced to step down as crown prince — traditionally the position held by the first in line to the throne — in favour of MbS. Ibn Nayef’s defenestration was total: he was removed from all positions, including as the Minister of Interior, and according to some reports is under house arrest. There is little doubt that the Saudi regime needs to undertake significant anti-corruption measures. But the circumstances strongly suggest that there is more at play. Some of the recent arrests were of potential leadership rivals. Another cousin, Miteb Ibn ‘Abdullah, the son of a former king, was in this category: his position leading the National Guard placed him in control of a large armed force. Less cynically, the arrests were an opportunity for MbS to burnish his credentials as a reformer and gain popularity among young Saudis agitated by corruption within the kingdom. The Saudi media has swung into action to support MbS in the wake of the arrests, engaging in large-scale character assassinations of those detained. The purge has strengthened MbS’s claim to be the first of his generation of the royal family — the grandchildren of the country’s founder Ibn Saud — to sit on the throne. With detractors and critics eliminated, it will surely not be long before King Salman abdicates for his son. However, the future ruler confronts serious obstacles. These range from the country’s intractable geopolitical situation (to a large extent of MbS’s own making), to the risk that his rashness and unpredictability will spook the same foreign investors who are crucial to his economic reform agenda. This week's links include the UN Oceans' Conference and detail on the PACER Plus trade deal.